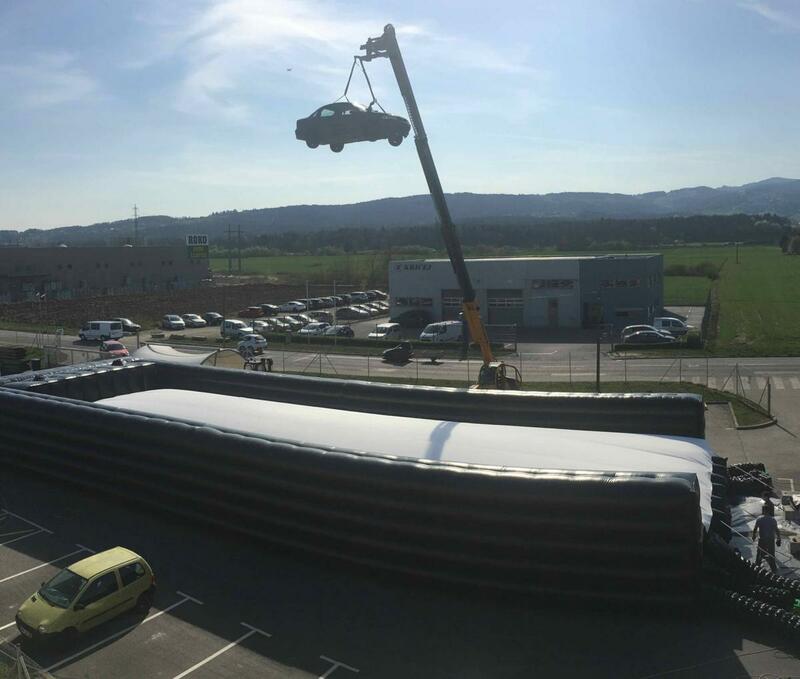 Stunt airbag from BAGJUMP® - Fall protection, car stunts, high falls etc. 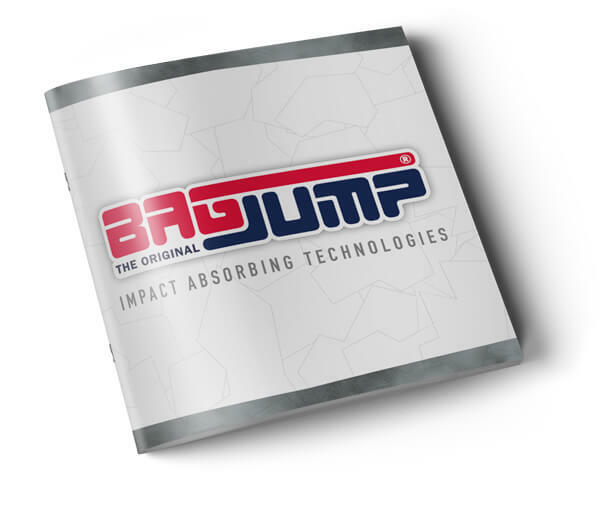 At BAGJUMP we specialize in building high performance stunt airbag systems to cushion wanted or unwanted vertical and horizontal impacts of people or objects. 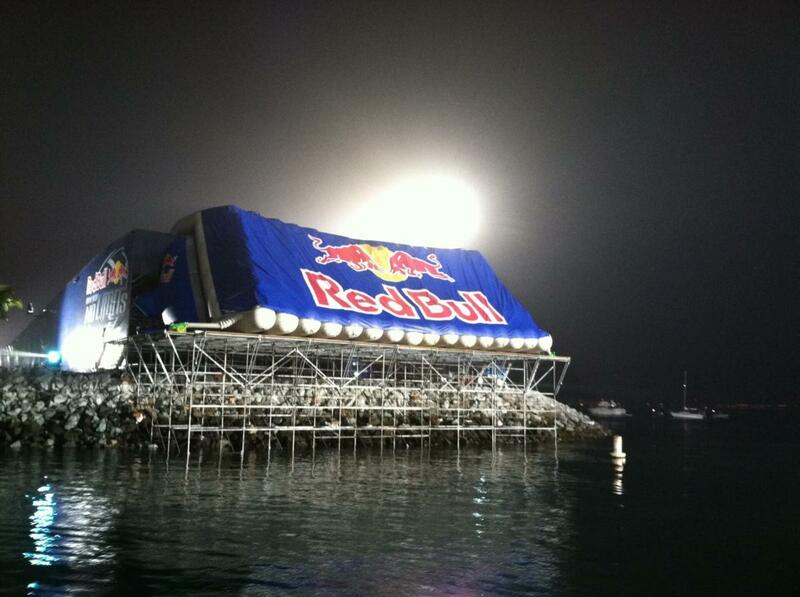 We have developed numerous airbag systems for various record breaking stunts and movie/stage performances. Let us know your idea and we will turn it into reality. You can of course brand the airbags in any way you would like. We offer full digital printed surfaces to create exactly the look you need. Very popular amongst our client base of stunt performers is ordering airbags fully green. 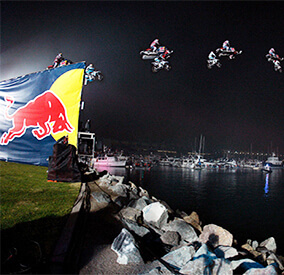 Boxes have become the industry standard for stunts, but are an outdated system. They do not offer the safety and time efficiency an airbag system can provide. An airbag can be reused right away after the stunt versus taking a half hour or more to re-set the boxes. This is time you are paying everyone on set. Airbags can be set up and moved within a matter of minutes. The impact absorption is much more advanced which ultimately results in much more safety for your stuntmen or actors. Our US office is located in Oceanside, California. This provides us the flexibility for rentals within the movie industry. 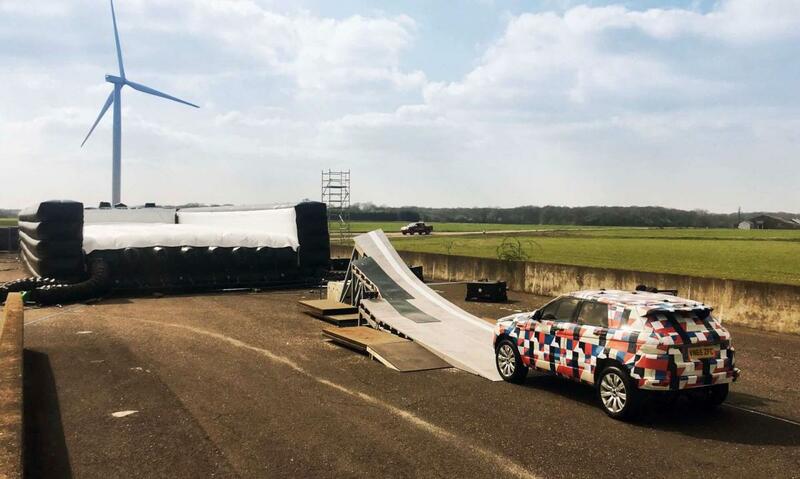 Just give us a call or send us an email and we will find the right purchase or rental solution for the stunt you are looking to do. 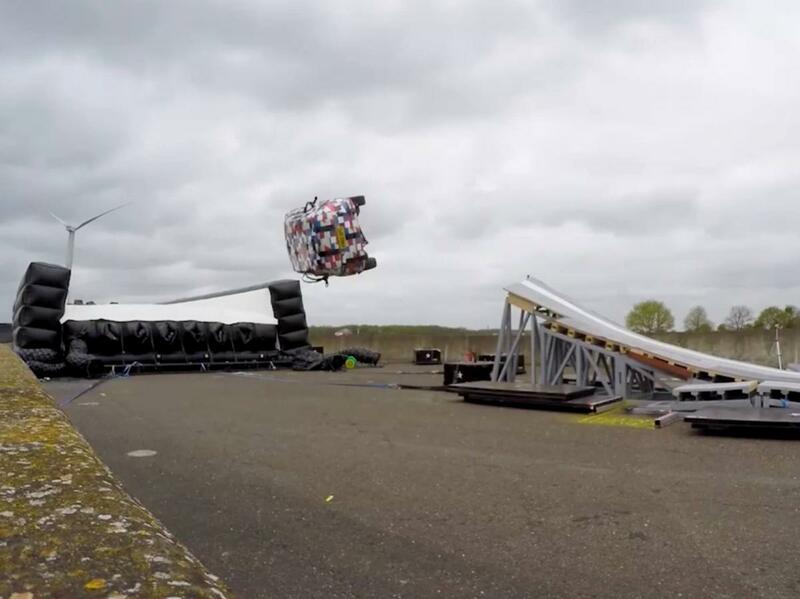 We excel in developing airbag systems for specific stunts. 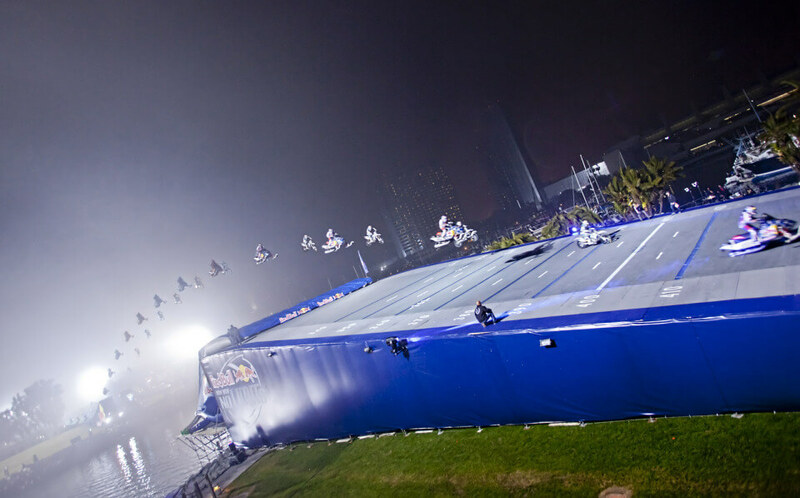 We have done numerous high stakes projects within the stunt & sports industry, which took meticulous planning, prototyping, and execution. Our highly professional team is looking forward to hear your idea and help turn it into reality. 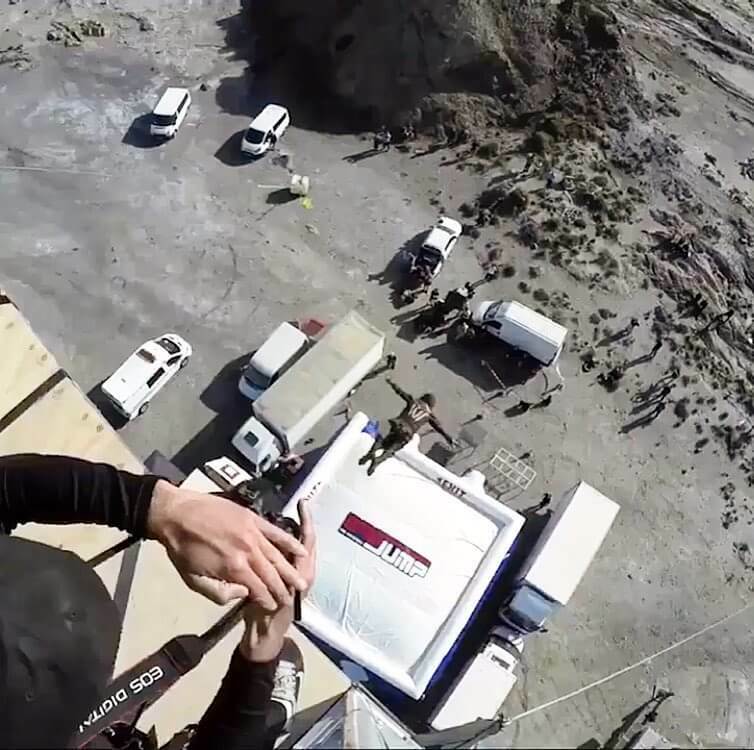 FALL PROTECTION, CAR STUNTS, HIGH FALLS ETC. Over the years we have developed a material for our airbag bodies that is lightweight, weather resistant and extremely tear resistant. With a reduced weight, you will need to move, pack & transport several hundreds of kilograms/pounds less, saving on manpower and costs. On the mountain this is sure to be appreciated when compared to other heavy weight airbags.